If you use wordpress, there are many ways to increase your wordpress security. 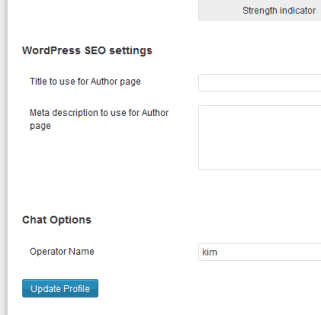 One of the ways to secure a wordpress website is to change the username. 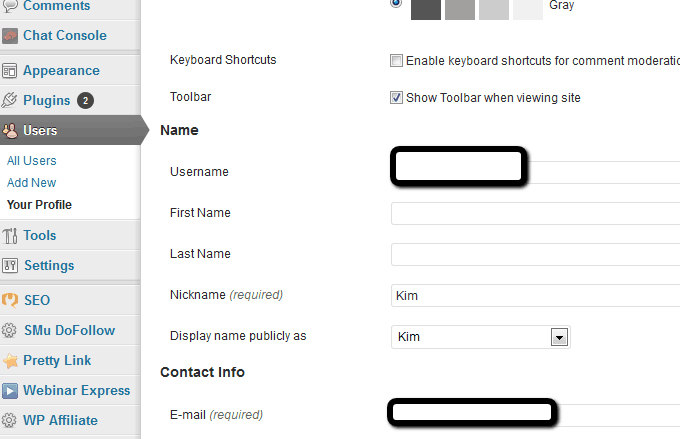 By default, wordpress provides you with a username of admin. 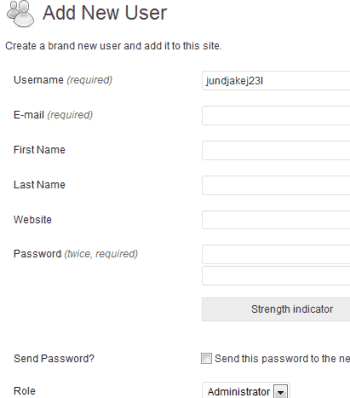 That means that when you go to login to wordpress, the username is admin. Many hackers know that a lot of wordpress users do not change the usernames. That, combined with the fact that many people use weak passwords, makes them much more vulnerable to hackers. I always recommend that you make a backup before making any changes. So here are the instructions on how to change your username. 3. See photo below. Enter in a new Username. Remember do NOT USE admin as your username. Also, make sure that the username you enter is complex. Do not use your name or your pet’s or child’s name. Those are too easy to guess. 4. 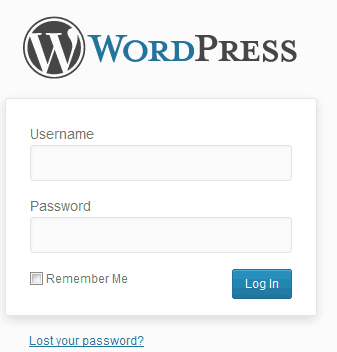 Now it’s time for you to log out of your wordpress account. 5. Then login again, but use the new username and password that you just created. 7. 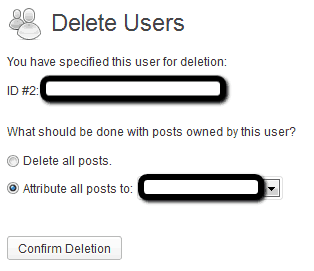 Now click on “Delete.” It is very important that you check off “Attribute all posts to” (whatever your new username is). Then Confirm Deletion. By doing this, you are assigning all your old blog posts that you created under your former “admin” username to your new username.